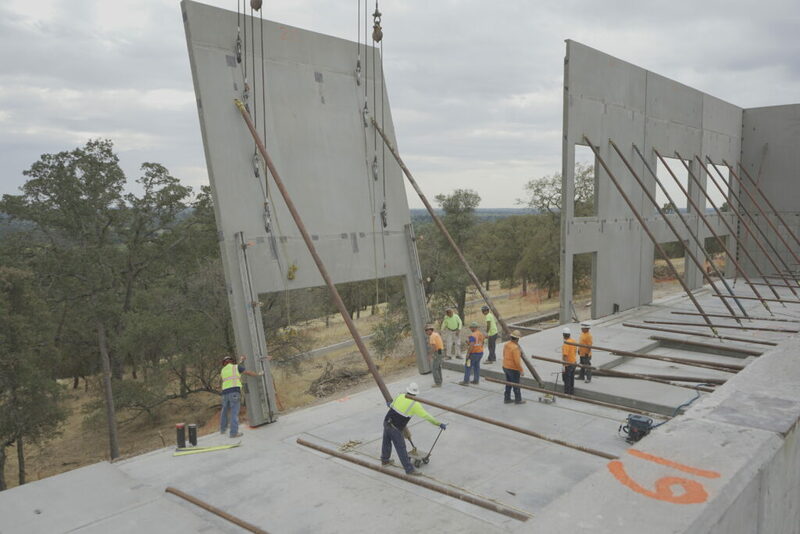 A major Sierra View project took shape in October with the raising of the walls for the Amazing Facts Ministries campus in Rocklin, California. 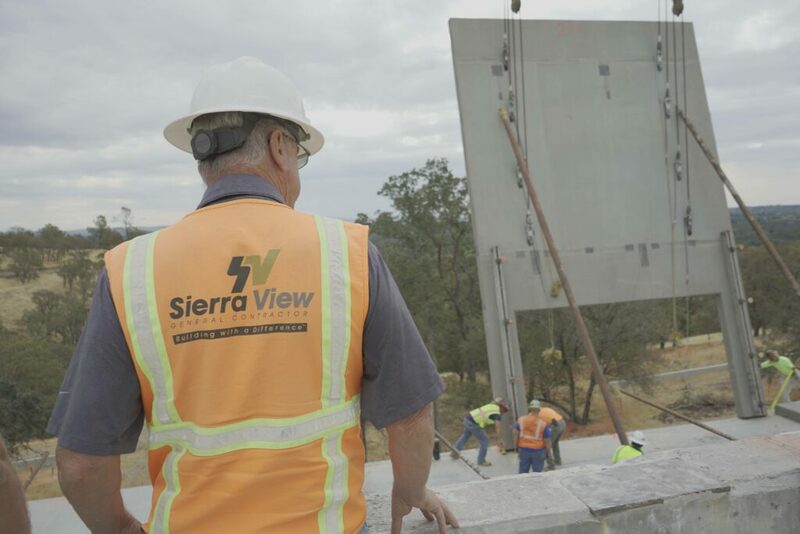 Sierra View is the general contractor for the project, which includes a 90,000 square-foot sanctuary and a smaller office building on a 15-acre site outside Sacramento. 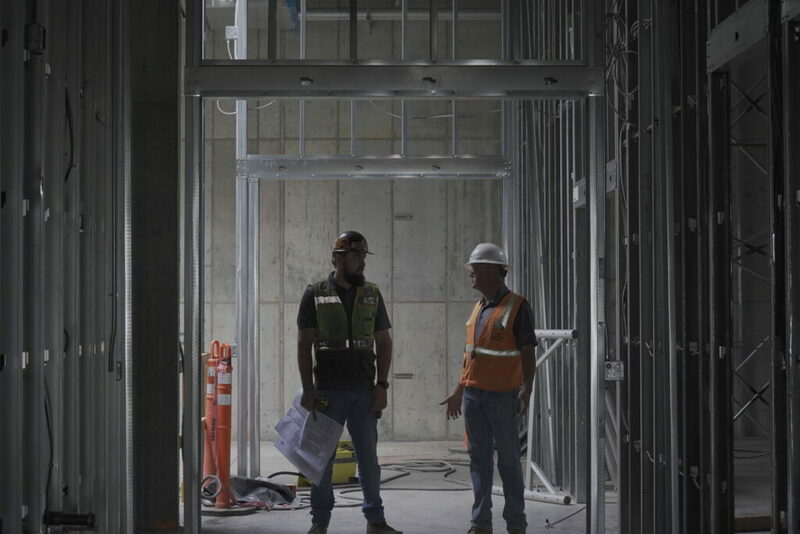 The theatre-style sanctuary will include a floating mezzanine, seat 1,500 parishioners as well as housing production studios that will let Amazing Facts manage TV broadcasts and other media activities from a single location. 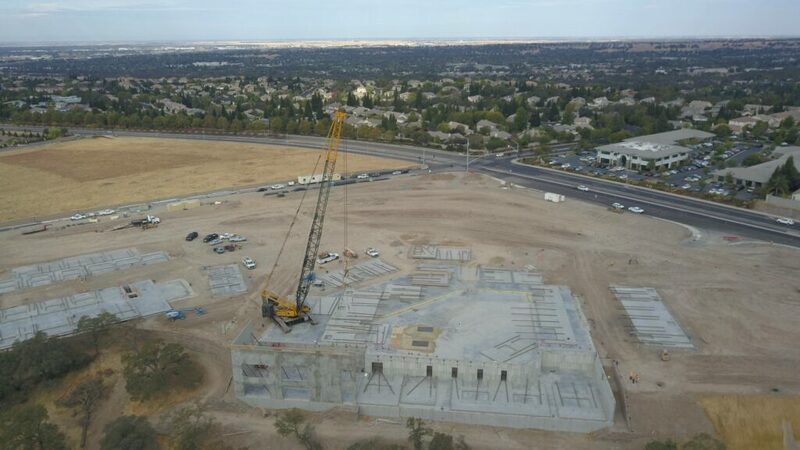 At the Amazing Facts campus Sierra View is using tilt-up construction, a technique in which a building’s concrete walls are poured into frames laid horizontally at the site. These “tilt-up panels” are then lifted vertically by crane, set into place and welded together to form the structure’s exterior walls. 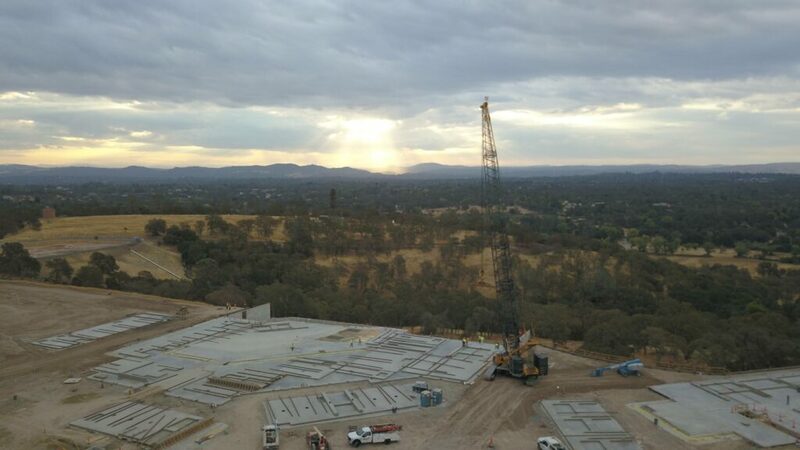 Each of the panels raised at Rocklin weighed between 30,000 and 125,000 pounds. Tilt-up construction helps contractors and clients save both time and money by using locally-acquired materials and smaller crews for assembly. The Tilt-up process is also faster and safer than other construction techniques used throughout the industry.